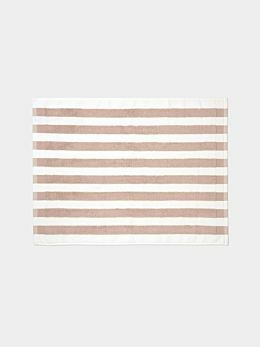 The perfect Summer update for the bathroom, our new Stripe bathroom towels feature a luxurious texture and come complete with European styled hand-knotted fringing. 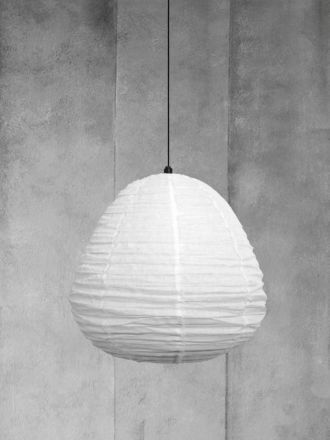 This is a collection that is unquestionably modern. 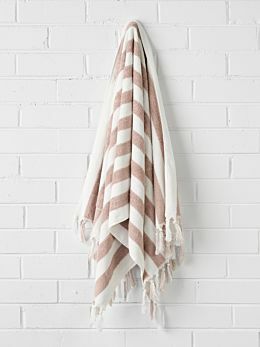 Our new Stripe bath towels have been woven in a beautiful soft and super absorbant pure cotton. 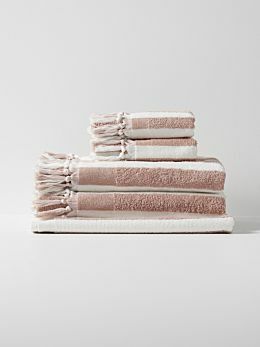 Available in hand towels, bath towels, bath sheets, bath towel sets and bath mats.